We made it back to the Bransfield and there was ice. Actually there was a rather impressive amount of ice for only two week’s growth. 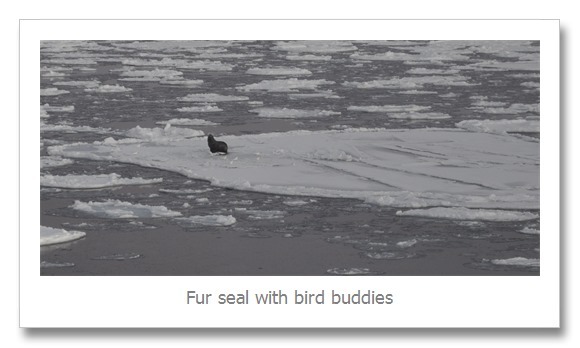 Some pieces of ice were big enough to support seals and penguins. 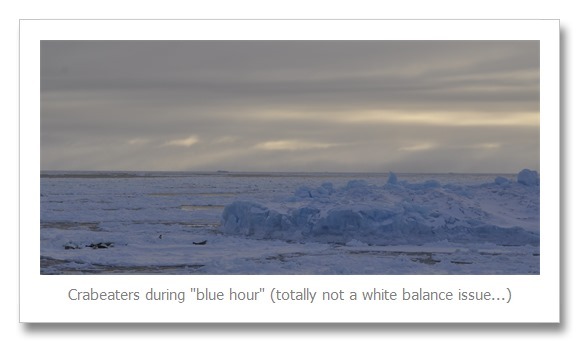 But compared to my last two years on this cruise, the ice was sparse and weenie. 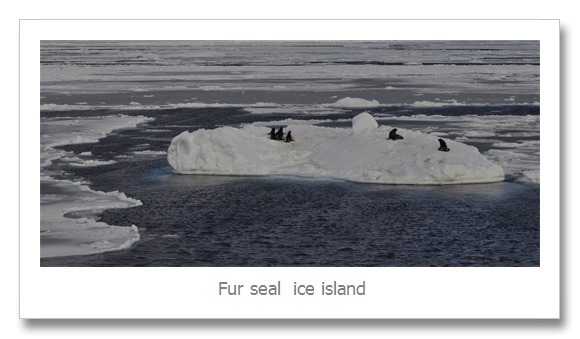 There was plenty of room for the ship to avoid the large pieces of ice that held seals and penguins. So, my wildlife spotting this year was from rather large distance. Ah well, them’s the way the bergy bits crumble. Crabeater seals are the most abundant seal in this area, but they are ice dependent creatures. They need good solid ice to haul out and rest on. 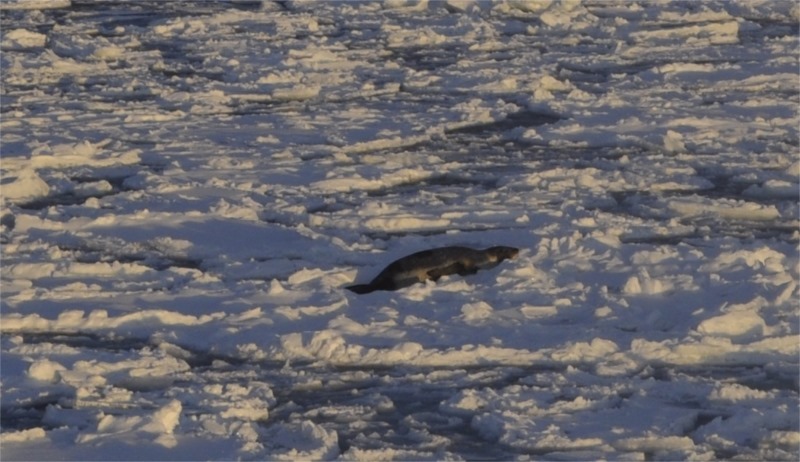 They also forage (look for food) better in icy conditions. Fur seals on the, other hand, are perfectly happy to rest on shore and forage in open water. 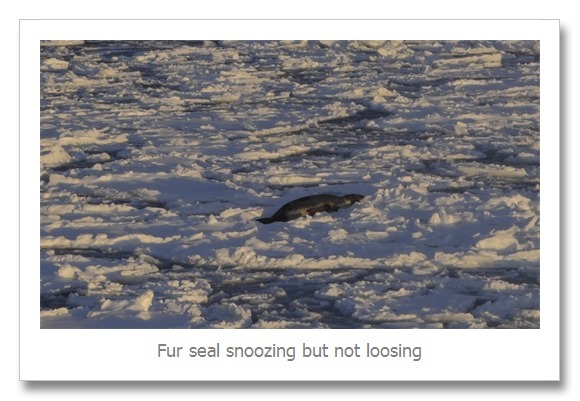 Given how weenie the ice has been in the Bransfield Strait this year, it is no surprise that I saw more fur seals and fewer crabeater seals than in years past. 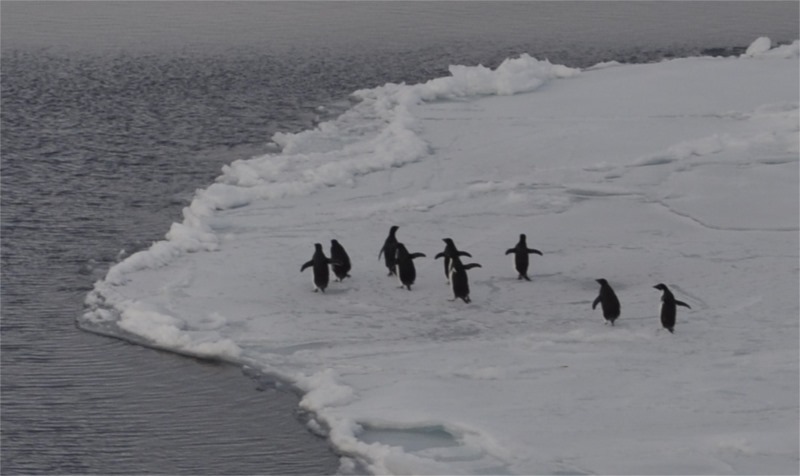 Adelie penguins remain in Antarctic waters year round, so we often see them swimming in the water and resting on ice. Like the seals, most of the Adelie’s I saw were from a distance, but it was still nice to see them. Pretty much all of my penguin pictures look like this. 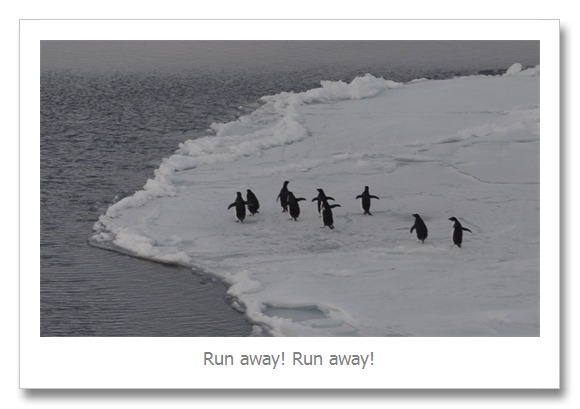 Penguins from a distance running away from the big orange ship. Ah well, at least I got to see them and know they were there. 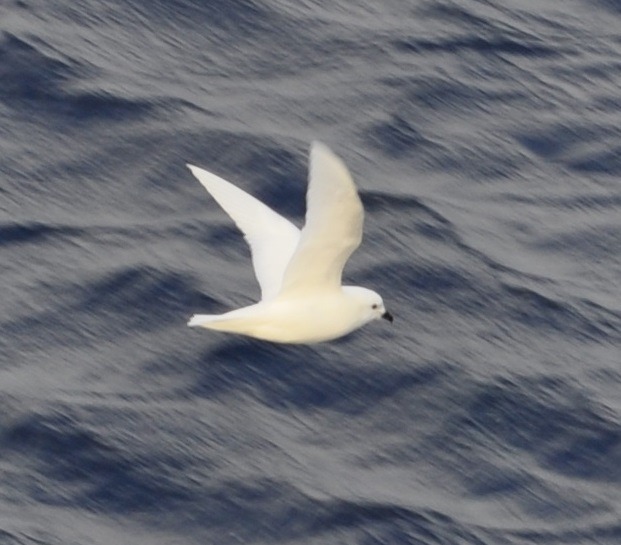 I am going to end this post with a snow petrel, a bird that soars and forages in ice covered water…and also a plea to my photographer husband that I really do need a bigger lens…. Peter West here. Mind if I ping you to use some items on Polar’s FB page. 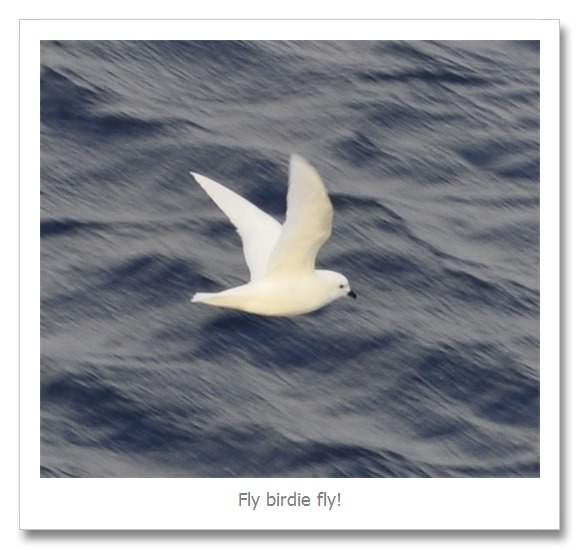 Some very nice shots there and I can always bill stuff as being written or shot by a PLR alumnus.